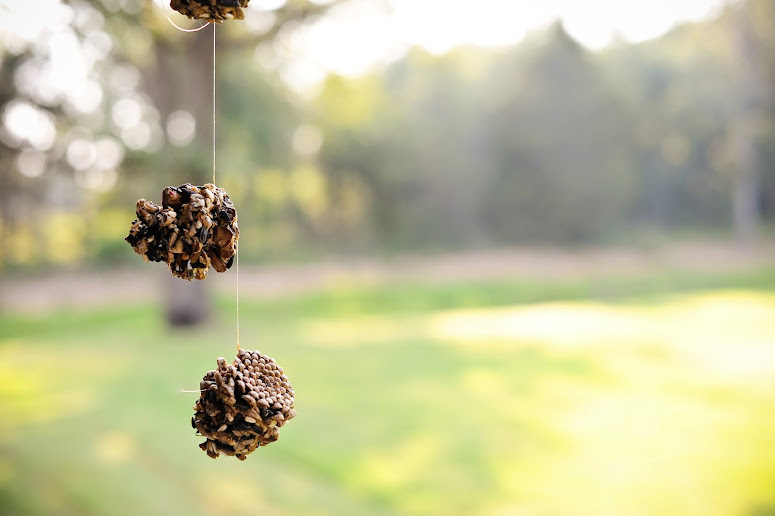 A craft I LOVED doing when I was younger, was homemade bird feeders, totally biofriendly ones. 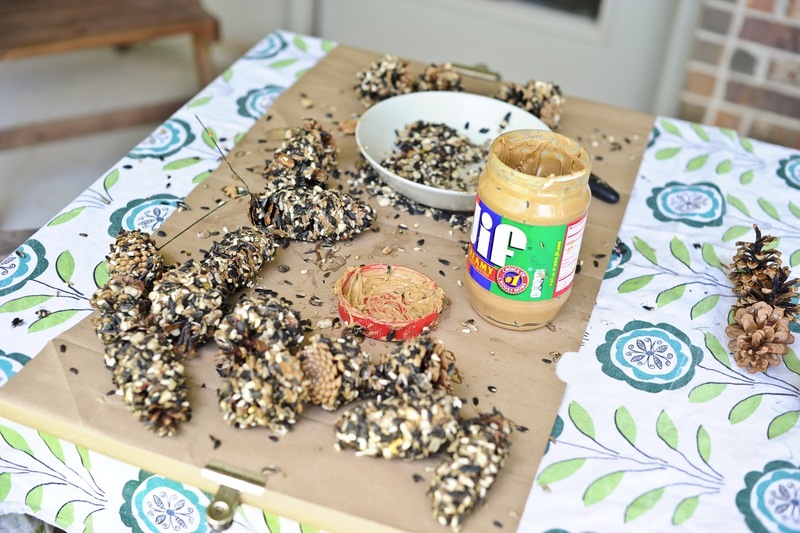 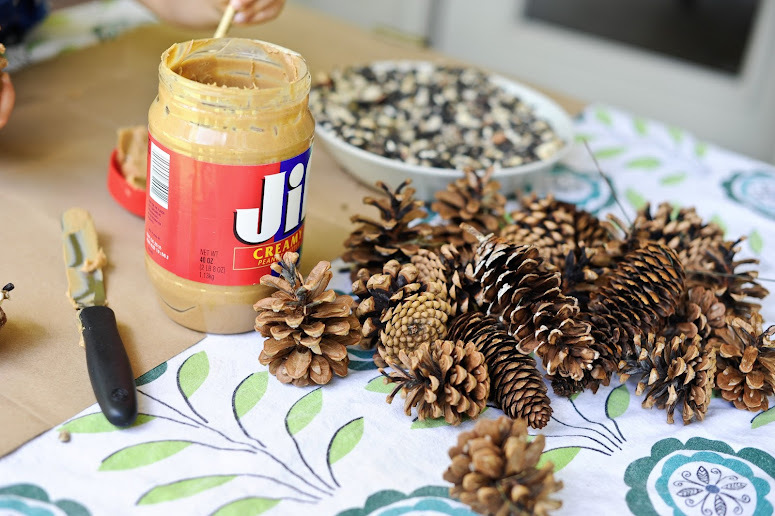 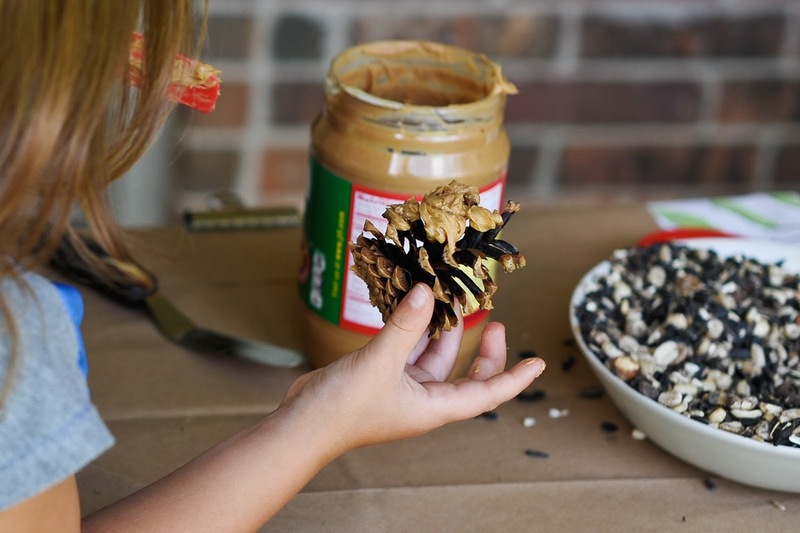 We would take pine cones, tie a string around them (so they could easily hang from tree branches) and dip them in peanut butter, and roll them in bird seed. 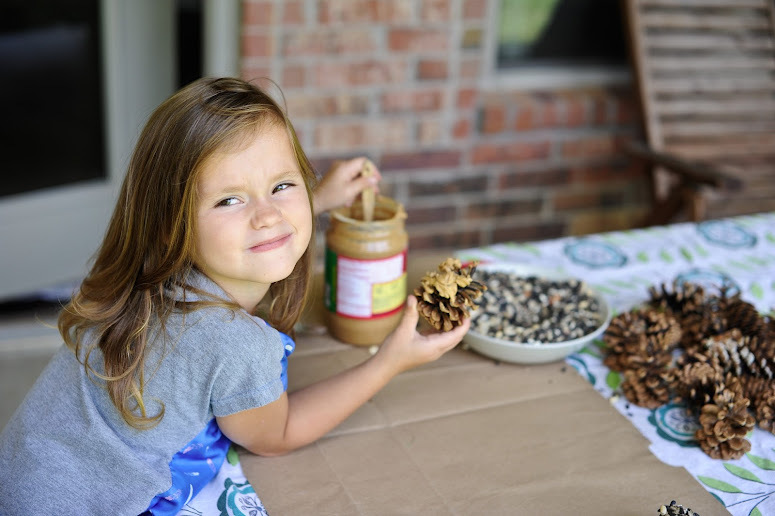 So I decided to introduce Charlotte to this little craft, but changed it up some. 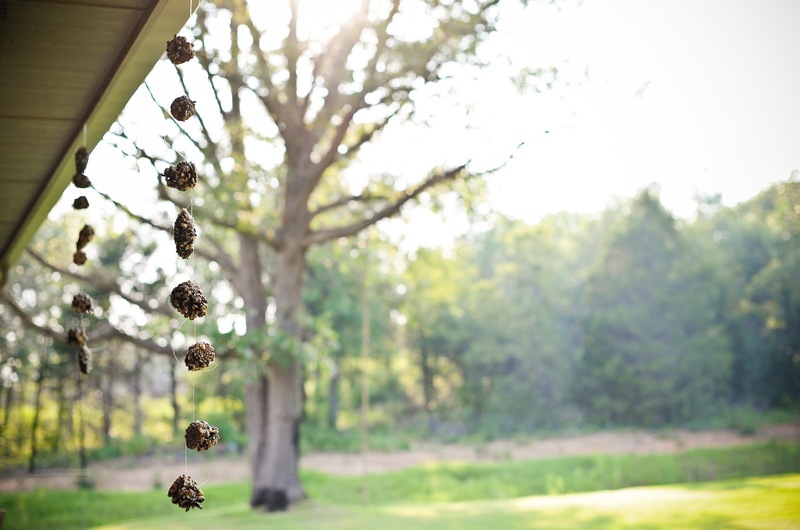 Instead of tying them one by one to a tree... we used fishing wire, and created a "dangling garland" of pinecones. We made enough to hang 2 on our back porch... and we're hoping... now that we've taken the time to create these messy but fun masterpieces... that they (the birds) will come.